Flawless And Beautiful: Sultry Gemma Chan now starring in "Humans"
Sultry Gemma Chan now starring in "Humans"
Gemma Chan (born on 29 November 1982) is an English film, television and theatre actress and former fashion model.She portrays Charlotte in season four of the Showtime and ITV2 series Secret Diary of a Call Girl; Ruth in Channel 4's award-winning series Fresh Meat; Mia Bennett in the BBC's Doctor Who "The Waters of Mars" and Soo Lin in Sherlock, She also appeared in the BAFTA-nominated film Exam and Paramount Pictures' action-thriller Jack Ryan: Shadow Recruit. She co-stars in Humans, a AMC/Channel 4 eight part sci-fi drama, which premiered in June 2015. 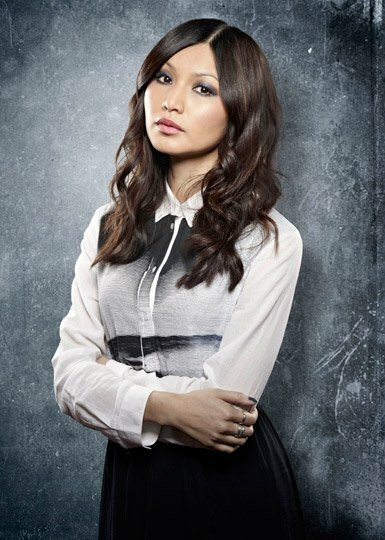 Hottest Woman 5/29/15 – GEMMA CHAN (Humans)! Gemma Chan is a British film, television and theatre actress and former fashion model from London, England. Her father grew up in Hong Kong, and her mother is mainland Chinese. Gemma played Charlotte in season four of the Showtime and ITV2 series Secret Diary of a Call Girl; Ruth in Channel 4‘s award-winning series Fresh Meat; Mia Bennett in the BBC’s Doctor Who “The Waters of Mars” with David Tennant and Soo Lin in Sherlock, the modern-day adaptation of Sherlock Holmes for BBC One, with Benedict Cumberbatch and Martin Freeman. She also appeared in the BAFTA-nominated film Exam and Paramount Pictures‘ action-thrillerJack Ryan: Shadow Recruit directed by Kenneth Branagh, with Chris Pine and Kevin Costner. She is set to star as Anita in Humans, the upcoming AMC/Channel 4 eight part sci-fi drama, which will premiere June 28th.